Hyperloop is going to be a revolution in the history of terrestrial transportation. Frequently known as the fifth form of transportation, it is an arrangement of tubes or pressurized capsules via which a pod would travel independently of air resistance or any other kind of friction at the unbeatable speed. The magnetic or the air pressure in the tube is similar to the concept used on a hockey table. Let us delve deep into the concept of Hyperloop and cast light on its important aspects. The idea generated from a desire to find something new for the betterment of the mankind. The entrepreneur and the person behind the entire concept Elon Musk was stuck in a traffic resulting in losses due to the fact that he was late at the meeting. He thought of creating something to eradicate this problem amongst the people. This is when he decided to bring the idea into reality by delegating the work to the researchers. Fundamentally, the idea of traveling in evacuated tubes dates back more than a century, although it was not possible to bring the idea into reality due to political reasons. A British Mechanical Engineer and inventor wrote in his book in 1812 about transporting people via airtight loops using air proportions. The Hyperloop was initially designed as capsules which would travel through steel tubes maintained at a vacuum. In the Musk’s concept, each individual capsule hovers over 0.5 to1.3mm of air supported by pressure to air-caster identical to the way pucks are suspended in air hockey table. The alpha-level concept is also created where the pods are designed in a way that they are 7ft 4 in diameter and could reach a top speed of 760 mph. The main motive of every Hyperloop design is to bring maximum comfort to the customers. Crash Safe: These hyperloops are designed in a way that they cannot crash and are completely safe to travel. Cost Effective: The overall cost of the built would be much cheaper as the products used are economical which can lead to cheap tickets. 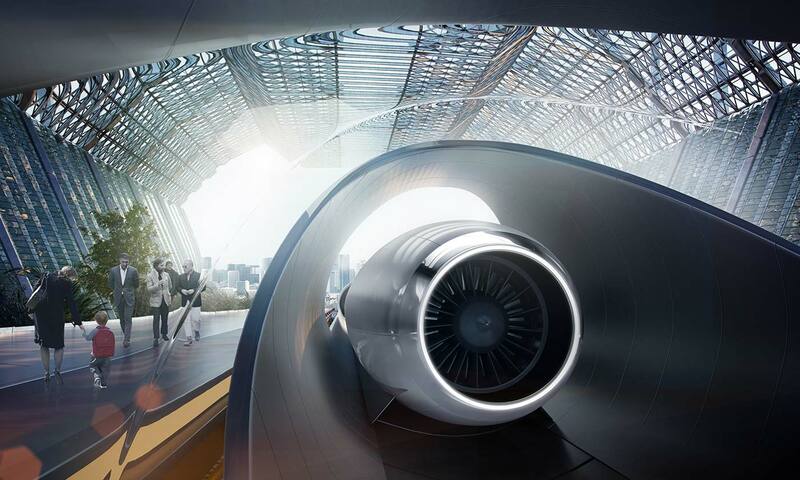 Economically Viable: The overall concept of Hyperloop is economically viable in all the ways. It is faster, cheaper as well as it would posses less threat to the environment. Generates Energy: The Hyperloop acts like a power generator which could create more energy than it consumes which makes it a boon to the society. Frightening Experience: The overall experience can be terrifying for the people travelling as the capsule is closed and it runs at a high speed. Can Cause Sickness: The speed of the Hyperloop can even cause motion sickness to the people travelling and people may avoid this transport unless an emergency. No Measures For Malfunctions: The critics of the concept have doubt on the precautionary measures taken for the time of any malfunction. Anticipated Cost May be False: Some people also suggest that the cost of the overall project may be higher than anticipated and therefore leading to expensive tickets. However, the scientists have claimed that the designs of the capsule or the pod can change in future for better results. Prodigious number of tracks are being built up in Nevada by three major companies actively participating. These companies are even discussing the plans with the governments of other countries including China to build the Hyperloop in their major cities. However, many tests are being performed on the designs being chosen from the Hyperloop Pod Competition which was conducted in 2015 and approximately 22 designs were chosen from about 700 submitted. The Hyperloop is a change which is going to make lives much easier for the people and would definitely eradicate the potential problems of transportation at economical costs.. This is a new opportunity for all the budding scientists who are alway welcome to give their ideas and thoughts.